Dragons Upset #11 Syracuse 62-61! Well how about that? Drexel continued its downright impressive start to the season by knocking off the defending national runner up, Syracuse, at the DAC on Monday evening. The Dragons were led by senior point guard Meghan Creighton who went 7 for 10 from behind the arc, including the game winner with just 8 seconds left in the game. ​Despite giving up size and height at every position, a recurring theme in the early part of this season, Drexel played tough defense throughout the night, forcing 17 Orange turnovers. Sarah Curran played all 40 minutes and chipped in 14 points and 5 rebounds, while Bailey Greenberg once again scored in double figures with 10. Kelsi Lidge, Sarah Woods, Aubree Brown, and Tereza Kracikova all aided the Dragons interior defense. A total team effort, and quite possibly the biggest regular season win in program history. What a night! The Dragons kicked off their 2016-17 season with a pair of impressive victories at home in the DAC. On Friday evening, Drexel got the year off to a great start by topping Penn State 83-60 behind a record-tying night from senior Jessica Pellechio. The transfer knocked down 8 of her 15 three point attempts, effectively sealing the victory in an explosive fourth quarter. On Sunday afternoon, the Dragons handled visiting Delaware State 69-44. Senior Sarah Curran lead a more balanced scoring attack that saw three players in double figures. So the world is a little (a lot...) worse off than it was last night. The one thing we can collectively, as a nation, rally behind is our excitement for the return of Drexel basketball. And what a fun start to the season it should be. Drexel's women's team enters the season with a deep roster loaded with some of the top players in school history. The men's team will begin a new era behind Zach Spiker and his uptempo (!) offense. Both teams will look to their underclassmen to contribute right away. ​The 2016-17 season is just a few weeks away, so we thought it would be interesting to take a look at which returning players have an opportunity to move their names up higher on Drexel’s all-time stat lists. Two women’s players, Sarah Curran and Meghan Creighton, already find themselves firmly entrenched on several lists with their eyes on moving ever-higher. Rodney Williams is the lone men’s player with a chance to join the team’s all-time scoring list this season. And, we're back! We're just weeks away from a new season and a new era of Drexel Dragons basketball. The Zach Spiker era will commence on October 27th when the Dragons host Keiser University in an exhibition game at the DAC. Spiker's first schedule is a bit of a mixed bag in terms of out-of-conference opponents. The schedule is highlighted by a few Big 5 games but only includes four home games (plus at Penn), one of which is a real cupcake over winter break. 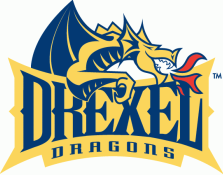 ​For the first time in a long time, there is a new head men’s basketball coach at Drexel. Weeks after the contract of Bruiser Flint was bought out by the university, current Army head coach Zach Spiker was hired by the Dragons on Thursday. While the United States Military Academy may not seem like a basketball coaching hotbed, it has produced the likes of Bobby Knight and Mike Krzyzewski. Spiker’s tenure in West Point has earned him the distinction of being named in the same breathe as those coaches as all three earned fifty wins in their first four seasons on campus, something only one other coach in program history, George Hunter, can claim.